Outstanding!!! Fantastic Easter brunch. Jonathan’s service was impeccable. The most amazing food! Everything we had was fabulous! Our server was fantastic too, very knowledgeable and attentive. Great meal and great service. Really had a nice evening. Service excellent. Wife's shrimp extremely over cooked. My Ahi tuna was one of the best ever! 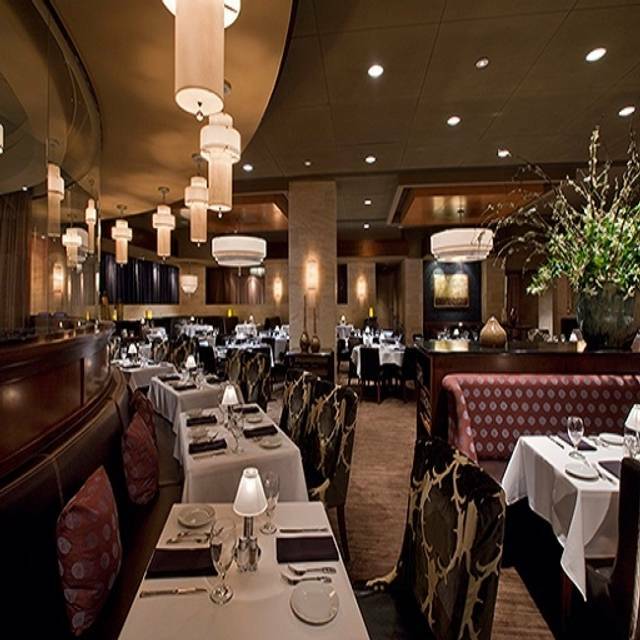 Great food in a nice, upscale setting. Had to wait a bit for our table (nearly 30 minutes) even though we had a reservation but everyone was very nice and accommodating. Will definitely be back. Wonderful meal! The live music was fabulous and the complimentary valet was a bonus. Took a while to get our drinks. We were part way through our appetizer before they came. We will be back for another special occasion! This restaurant competes with my very best experiences when traveling nationally. Exceptional waiters, broad menu selection, excellent preparation and presentation, and soothing environment. 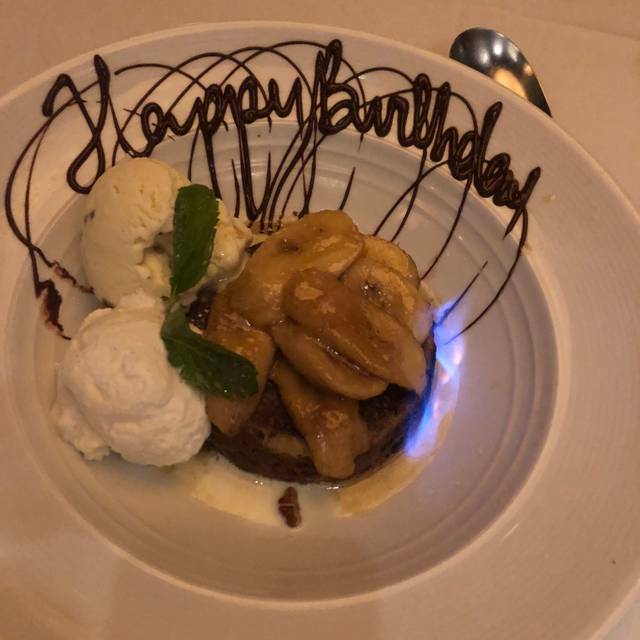 I celebrated my 74th Birthday and was delighted to be served a banan butter cake as a celebration gift from the restaurant. What a gift! Only issue was that I was looking forward to seeing the table set up as a Birthday table as a surprise dinner cause that’s what I put down on reservation. No big deal cause she brung a card out after it was addressed. 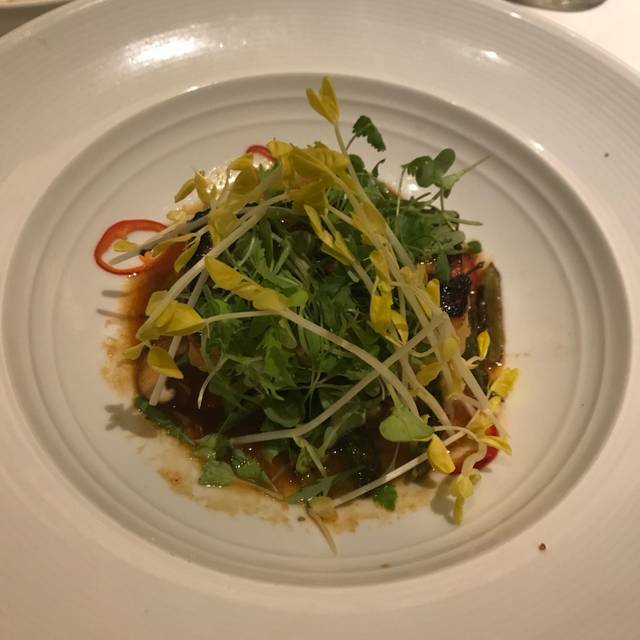 I'm from Beverly Hills Los Angeles California and I've been blessed to dine at the best restaurants around the world. I would recommend Eddie V's as the best restaurant to dine at in ALL of Kansas City. I can't wait to do back! Food was delectable, service was awesome, and atmosphere was warm and inviting. 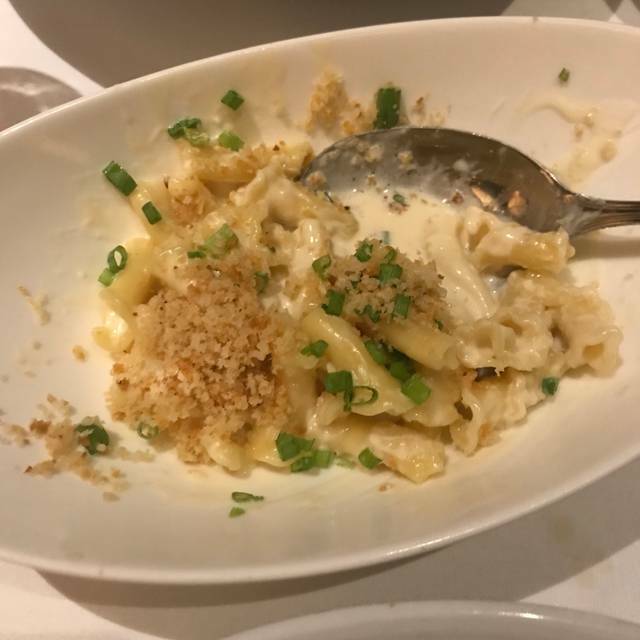 This was my first visit to Eddie V's and I was impressed with the taste and quality of the food. We were there for Happy Hour and the choices are extensive. I would heartily recommend this restaurant on days when the windows are closed. The motorcycles ROARING by became annoying. The servers were attentive and helpful. This was probably one of the best meals my husband and I have ever had. Everything was cooked to perfection and our waiter, Matthew, was a true professional. He turned our dinner into a dining experience. We were given a gift certificate for our 40th wedding anniversary, and from the moment we sat down, we were given a complimentary glass of champagne as well as a baguette with raw tuna and capers. Both were delicious and made us feel special. 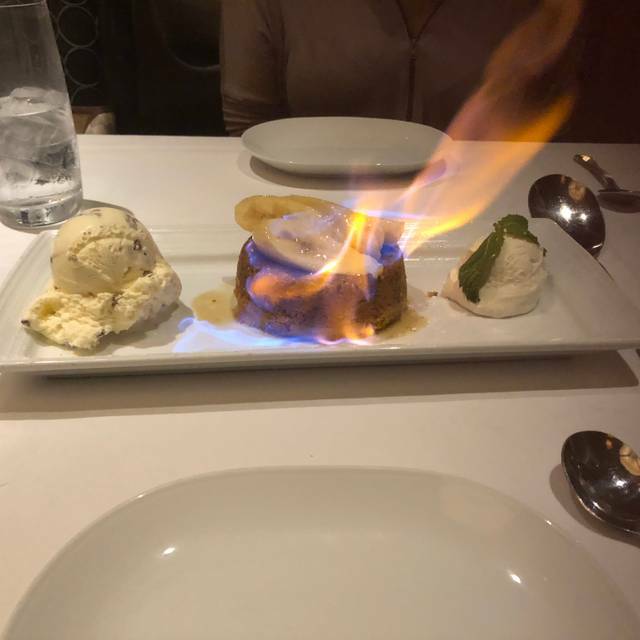 After enjoying our dinner we were surprised with a complimentary dessert. The manager and wait staff went out of their way to make us feel like royalty on our special night. 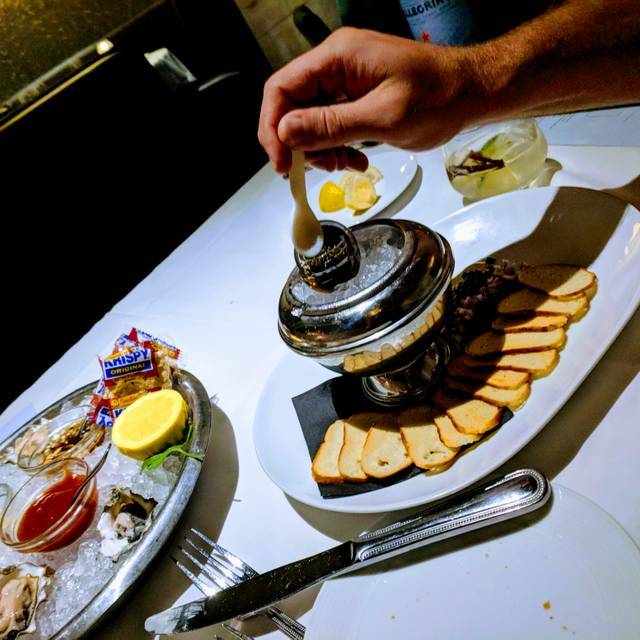 Although the food is pricey, more of a special occasion restaurant for us, we never felt out of place because of the warm and comfortable ambiance. We will definitely return! Thank you Eddie V's for making our evening memorable. We brought some good friends there for a fun night. This place never disappoints us. Great food and service. Great service, and the food was amazing. I'll definitely come back. Great food - Great Service! The best seafood and more in KC! Don't miss out on this fantastic place!! They changed their Caviar to a cheaper version and didn’t have proper accompaniments. That was disappointing. Our dining experience was fantastic! The manager, Drew, met us at the reception desk and escorted us to our table. Our server and other wait staff were very attentive without being smothering. The food was great! 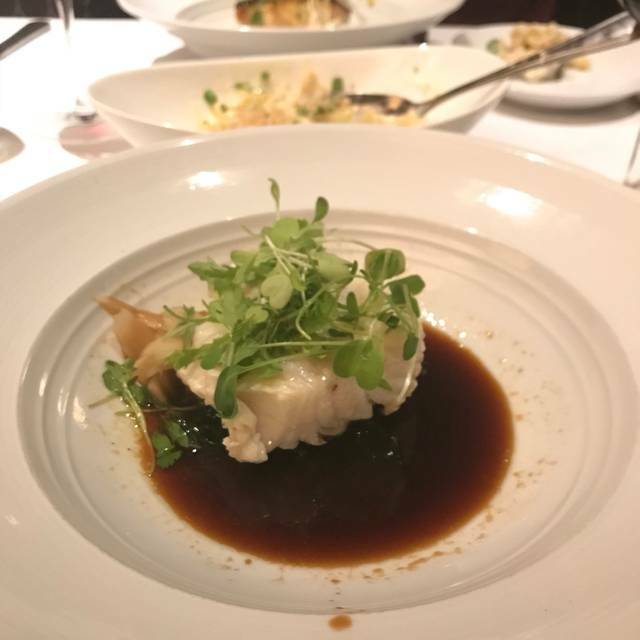 We had the halibut and it was outstanding and would heartily recommend it. We Are really looking forward to our next meal there. Food was incredible as always and our waitress Jennifer was fantastic! The waitress didn't seem to have much good to say about the menu or the changes that have been made to the menu. She didn't inform us as to the way the meal will be served i e... Vegetables served family-style so we ordered too much as a result. The food was good but grossly overpriced for what we got. There are lots of places in town to get fish for a lot less and get a much better service experience. Still, one of our favorite places in KC - with beautiful ambiance! Was amazing! We had spectacular waiters and service. Food was top notch. Only problem is that the draft from outside really made us cold despite sitting 30 feet from the front door. Are in the bar so I could see the basketball tournament. Drew is always first class as the manager. Excellent birthday celebration with party of 12 - outstanding ambiance, food and service! Couldn't be better except the music was too loud. It was at times hard to have a conversation. The meal itself was +!! Excellent Service by Anja Morgan-the food was fabulous & would whole heartedly recommend!! Fabulous, exceptional food. Attentive staff. Can’t say enough about how good our experience was. As always, a great meal. Never disappoints. This is a fabulous place for a special celebration. 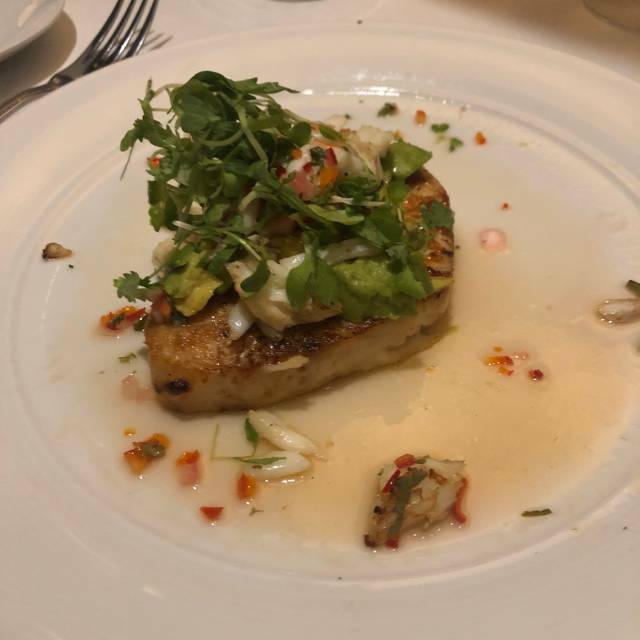 The food is excellent and the service is impeccable! 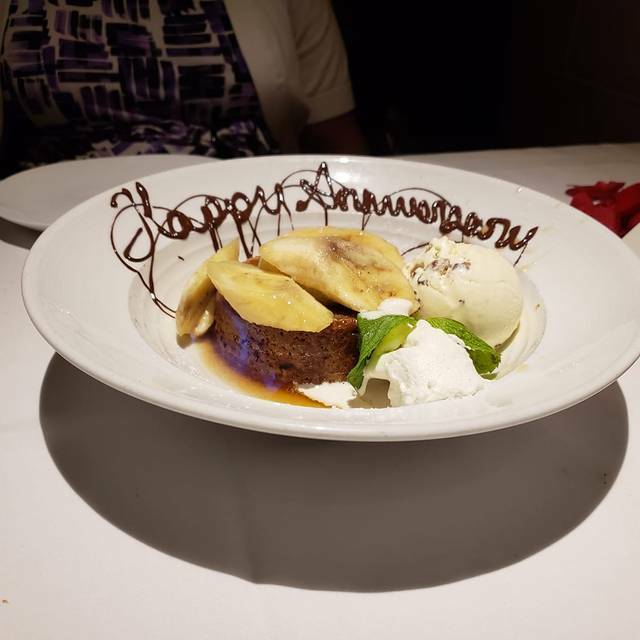 We celebrated a major milestone birthday and received so many extra touches (greeting card, rose petals, champagne, appetizer and dessert) it truly made this milestone much more enjoyable and memorable. Our waiter, Matthew Brady, was a great waiter and made the evening fun. The ONLY negative thing I would say is to comment on the portion size of the entree accompaniments. For example, my entree stated the fish came with artichoke and tapenade. What actually came with the meal was about a fourth of an artichoke and a teaspoon of tapenade. My husband's entree was to be served with mushrooms and snap peas. But what was served was one VERY small mushroom and two small snap peas. Just keep this in mind when ordering. This is a wonderful place for a special occasion or celebration. Our waiter and overall service was outstanding. Very relaxed, never rushed. We weren’t overall fond of the lobster bisque - not enough lobster meat or flavor we felt. Feel this is a great place if you are into gourmet food.